An afternoon glide through Destin with stops Clement Taylor Park with views of Crab Island, The Destin History and Fishing Museum, a glide by the original settlement site of Destin and photo opportunities at The HarborWalk Village overlooking the Destin Harbor on this Destin Segway Tour. What a great way to see Destin! As the day is winding down you will have a chance to glide and see some local flavor. 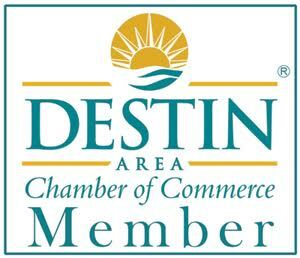 The tour will make stops at The Destin History and Fishing Museum, Clement Taylor Park overlooking Crab Island, the original settlement site of Destin and The HarborWalk Village overlooking the Destin Harbor. Lots of ride time, wonderful photo opportunities and a great view of the sun setting over the water. A morning glide through Destin. Lots of ride time with stops at The HarborWalk Village overlooking the Destin Harbor, a stop at the original settlement site of Destin, Clement Taylor Park with views of Crab Island and The Destin History and Fishing Museum. Wear your swimsuit if you care to take a quick dip in the water while we visit Clement Taylor Park on this Destin Segway Tour. An afternoon glide through Destin with a stop at Clement Taylor Park with views of Crab Island. There is water access at the park, so wear your swimsuit if you want to take a quick dip in the water. The tour will also go by the original settlement site of Destin and make a stop at The Destin History and Fishing Museum. We'll also glide over to The HarborWalk Village. Lots of fun ride time and photo opportunities on this Destin Segway Tour. Visit our friends in Tampa!